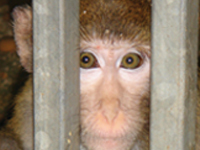 Animal Defenders International : Animal experiments : What does Brexit mean for animals? What does Brexit mean for animals? On 23 June 2016, a referendum on whether the UK should leave or remain in the European Union took place, on which 51.9% voted to leave. The process of the UK leaving the EU officially commenced on 29 March 2017 with the triggering of Article 50 of the Lisbon Treaty, which gave both the UK and the EU two years from that time to negotiate the terms of separation. The Government introduced the Withdrawal Bill to the House of Commons on 13 July 2017 and it was passed through the House of Commons on 17 January 2018 before being introduced to the House of Lords the following day. The intention of the Bill is to ensure that when the UK exits the EU, “the same rules and laws will apply on the day after exit as on the day before”. It is vital that a commitment from government is secured so that laws concerning animals are not rolled back; there are also opportunities to strengthen current measures. One of the major concerns surrounding animal welfare and Brexit is whether UK standards will be weakened during trade deals. In the EU, Eurogroup for Animals, of which ADI is a member, and MEPs from the Intergroup on the Welfare and Conservation of Animals have worked to secure a European Parliament resolution outlining minimum requirements for animal health. The resolution also sets conditions for agricultural trade, ensuring there will be no deregulation in the animal welfare standards currently required. We need to ensure similar commitments are set out for all UK trade deals following Brexit. Please urge your MP today to safeguard animal welfare. ‘Brexit & Animals’, a 10-point plan for animal welfare launched by ADI and our campaign partners at the House of Lords, covers a range of animal issues currently governed by EU regulations, including animal experiments. The Prime Minister has stated that “We will maintain the UK’s high standards of food safety and of animal welfare, that will be a priority for us” and the government has previously indicated EU legislation on animal experiments will continue to be incorporated within UK law. We will however be working to ensure this is the case. Under membership of the EU, the UK follows rules on animal testing set out in Directive 2010/63, legislation which includes important measures protecting animals used in research. There are particular concerns that Brexit could harm the development of animal replacement methods and lead to an increase in duplication of animal experiments if not addressed. For example, losing access to the European Centre for the Validation for Alternative Methods could harm the progress of developing non-animal methods. Concerns have also been raised in parliamentary debates that, without requirements to share animal testing data, set out in the chemical testing regulations (REACH), duplication of these tests might occur. MP Mary Creagh pointed out how “UK companies registering chemicals within REACH must share data from animal testing. Other registrants access that data, which minimises the need to carry out and duplicate animal testing, but only participants in REACH have access to that data, so we could see an unwelcome increase in animal testing”. The EU Cosmetics Directive bans the import of products that have been tested on animals. This key Directive prevents manufacturers in the USA, China and others from selling their products in Europe if they have been animal tested. One commitment which the UK Government has made is to continue the marketing ban on cosmetics products tested on animals, which will be directly applied to the UK upon exiting the EU. Animal sentience is enshrined in EU law under the Lisbon Treaty. Twenty years ago, the UK Government led the way in convincing other EU member states that it should be explicitly recognised in EU law, so that animals were not treated merely as goods. The recognition acknowledges that animals feel pain, that they are aware and that they do not want to suffer, and requires lawmakers to take account of animal welfare when creating legislation. To date, it has resulted in the incorporation of animal sentience into over 20 pieces of EU legislation. The government published the Animal Welfare (Sentencing and Recognition of Sentience) Bill to both address the inclusion of animal sentience into UK law and a manifesto commitment to increase animal cruelty sentences. This important bill could have far-reaching effects, making it a legal duty to consider animal welfare when creating new laws. The Environment, Food and Rural Affairs Committee published a report to suggest the laws on sentience should be given further scrutiny and the Government responded, saying that they are looking at solutions. We hope this does not mean a delay in the implementation of the animal sentience concept into UK law or, worse still, that it will be put off for so long that it becomes a forgotten issue. Help ensure animals get the protection they deserve and need. Urge your MP to support a #BetterDealforAnimals by attending the Parliamentary reception on Tuesday 26th February and signing Early Day Motion 2070. Click here for details and a template letter.